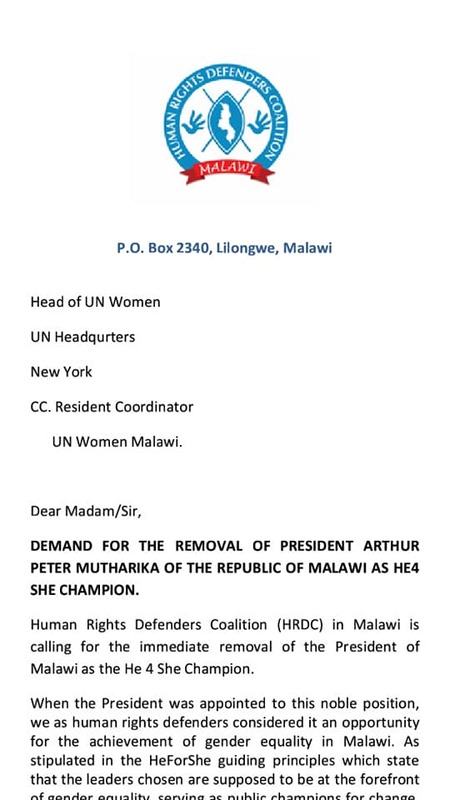 Human Rights Defenders Coalition has written a letter to the United Nations requesting that President Peter Mutharika be removed as He-for-she champion. The demands has been heightened President Professor Arthur Peter Mutharika’s recent Cabinet reshuffle which has seen number of women being reduced in his twenty member cabinet from four to three. 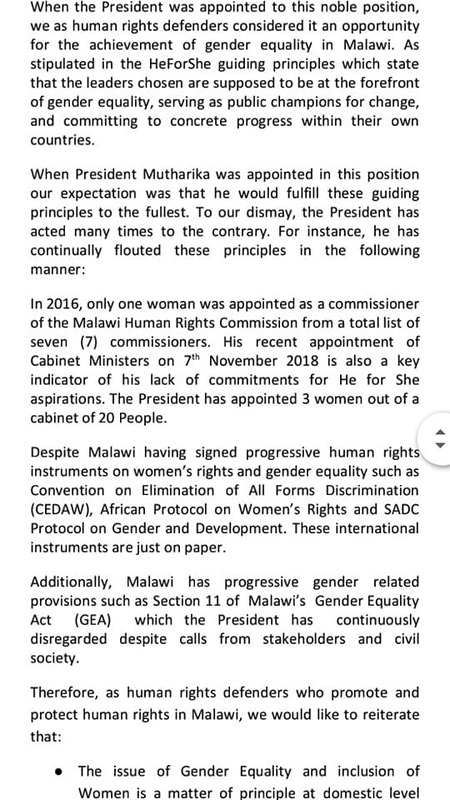 “Throughout his term, he has willfully undermined the gender equality agenda as evidenced by marginalization of women in all appointments to the cabinet and other high level positions in government and statutory bodies which have not been in line with the Gender Equality Act,” reads the statement in part. 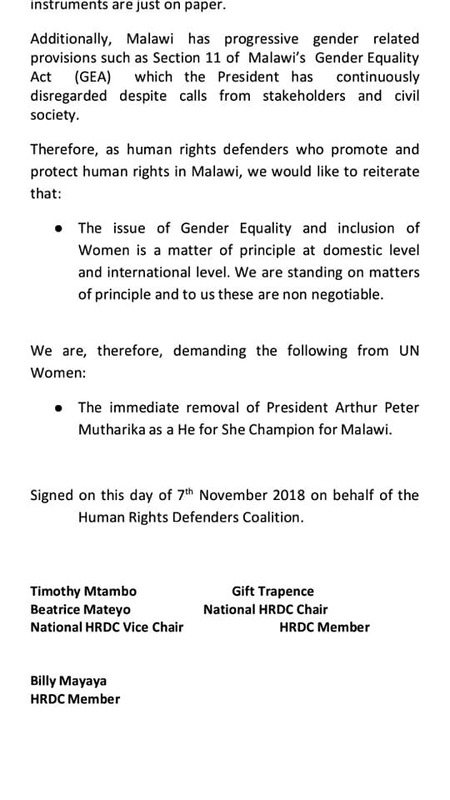 In the statement, the CSOs have accused President of being silent in the face of acts of violence that have been committed by the governing party, intimidation of women Members of Parliament from opposition, and destruction of property in a bid to intimidate and hinder the free political participation of women despite this being a constitution right.